Monday 26th January 2015 Australia Day. Australian National Service Day: National Service Day 14 February, since 2011 this day has been officially recognised we do so with pride and appreciation. Royal Australian Air Force Anniversary Commemoration – 31 March Each Year. This year we will be Commemorating this day on the 29 March 2015 as our monthly meeting is closer to that day, this day is officially recognised we do so with pride and appreciation to our founding member. Air Marshal Sir Richard Williams KBE, CB, DSO (3 August 1890 – 7 February 1980) is widely regarded as the “father” of the Royal Australian Air Force (RAAF). He was the first military pilot trained in Australia, and went on to command Australian and British fighter units in World War I. A proponent for air power independent of other branches of the armed services, Williams played a leading role in the establishment of the RAAF and became its first Chief of the Air Staff (CAS) in 1922. He served as CAS for thirteen years over three terms, longer than any other officer. Williams came from a working class background in South Australia. He was a lieutenant in the Army when he learned to fly at Point Cook, Victoria, in 1914. As a pilot with the Australian Flying Corps (AFC) in World War I, Williams rose to command No. 1 Squadron AFC, and later 40th Wing RAF. He was awarded the Distinguished Service Order and finished the war a lieutenant colonel. Afterwards he campaigned for an Australian Air Force run separately from the Army and Navy, which came into being on 31 March 1921. The fledgling RAAF faced numerous challenges to its continued existence in the 1920s and early 1930s, and Williams received much of the credit for maintaining its independence. However an adverse report on flying safety standards saw him dismissed from the position of CAS and seconded to the RAF prior to World War II. Despite support in various quarters for his reinstatement as Air Force chief, and promotion to air marshal in 1940, he never again commanded the RAAF. After the war he was forcibly retired along with a number of other World War I veteran officers. He took up the position of Director-General of Civil Aviation in Australia, and was knighted the year before his retirement in 1955. April – ANZAC Day: Saturday 25th Please turn up to March wearing medals full size “NOT Miniatures”. Please be aware that the march route may change, if so it will be updated IAW the authorised bodies of this event, at this point in time it is still unknown as to what direction the rout march will take. 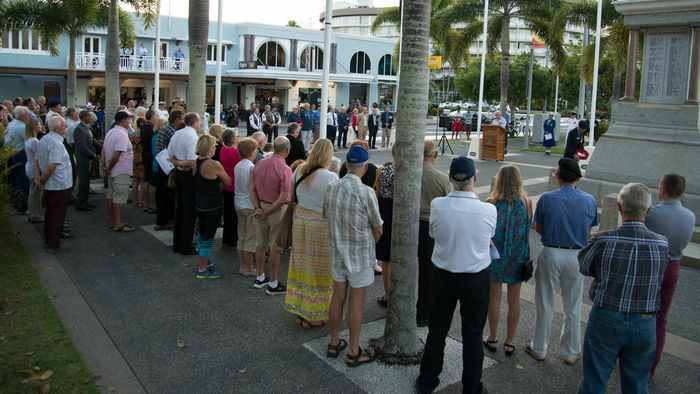 That is the assembly point and the dismissal point, it may be published in the Cairns Sun or Cairns Post prior to the event please keep a lookout for it, alternatively the RSL website or contact the following Cairns City Council or the Cairns RSL that is about it at this point in time. 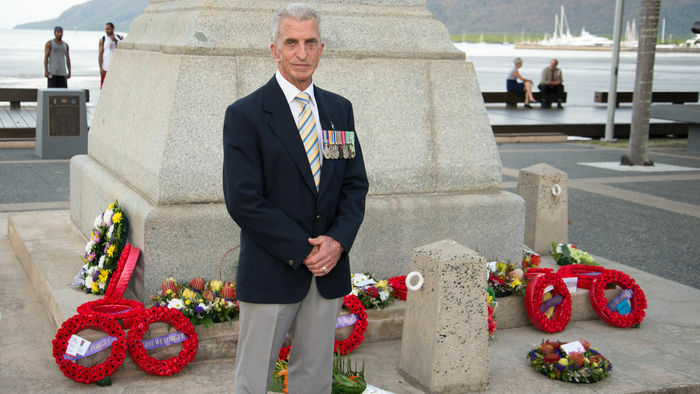 ANZAC Day Dawn Service 2015 Video and other events on the day. 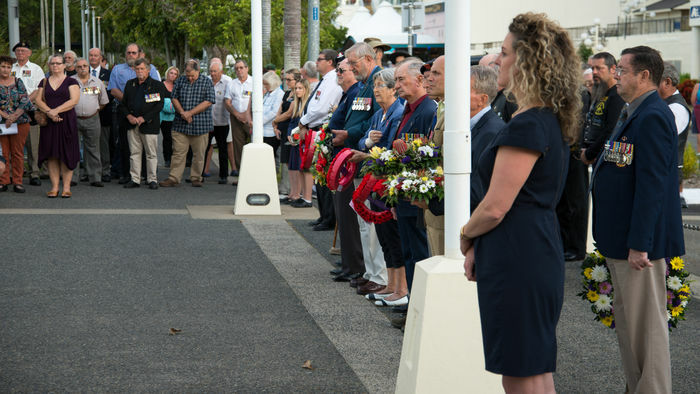 The Battle of the Coral Sea Commemoration remembers the efforts of Allied forces against the Japanese 70 years ago. The park was created to commemorate an air and sea battle in 1942 approx 800km east of the coast of Queensland, between Australian/United States forces and the Japanese. A memorial service commencing at 1030 hrs, followed by a BBQ lunch. please bring along your medals as we will be joining the march, this year both Townsville and Cairns Branches will attend and participate in the commemorations. Battle of the Coral Sea Cardwell 03 May 2015, both Townsville and Cairns RAAFA Branches marched behind the RAAFA standard led by Wing Commander Karl Green, the March and commemoration service was an absolute success, the RAAFA Townsville and Cairns contingent moved to the Cardwell Country Club for Lunch. The food and service was fantastic to say the least thanks to Jane Emerson and her staff, also from Townsville and Cairns Branches, a special thanks for the wonderful day both Townsville and Cairns members commented on how we should visit Cardwell and Dine at the Country club more often. Also from the Cairns, side of the day a special thanks to the following team from RSL Care Cairns Farnorha, Jennie Munro, Andrew Price and Sheila Price for their support, without Jennies’ support and use of the RSL Care Bus for the day we would not be able to attend the battle of the coral sea event. August – VP Day: Sunday 16th at Rocky Creek by 0900hrs Medals to be worn. Victory in the Pacific 70 th Anniversary Rocky Creek 2015. August – Vietnam Veterans Day – Battle of Long Tan: Tuesday 18th August 2015 Vietnam Veterans Day & Long Tan Day. 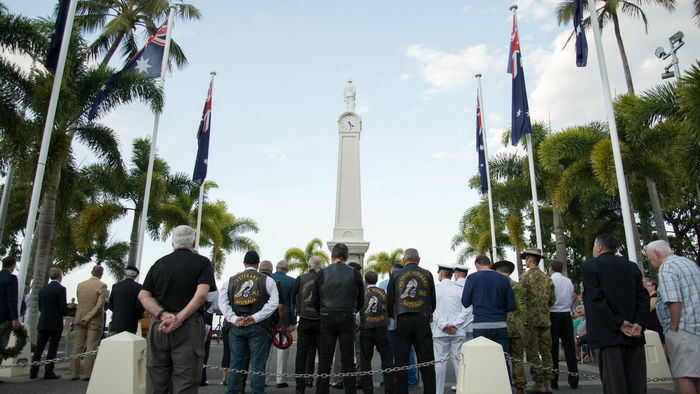 Battle of Brittan Day; Sunday 13 September 2015, followed by a luncheon Cairns RSL, please be aware that this event coincides with our September monthly meeting. “Please NOTE” members this meeting is not at the end of the month it is on 13thSeptember 2015. 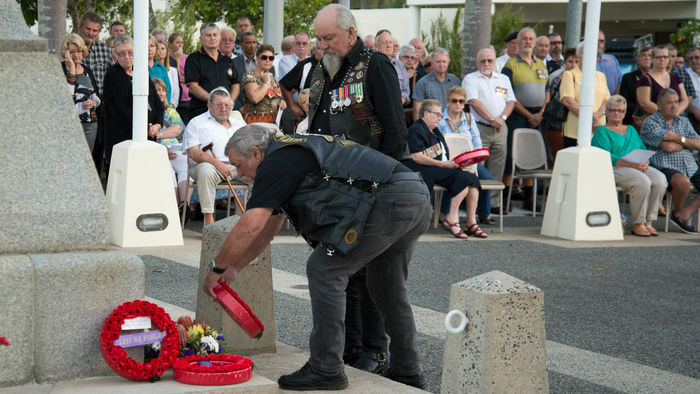 Next meeting: (Second Sunday) 13 September 2015, RSL Dress; as required or RAAFA T/Shirt, 1015 HRS For Wreath Placing, General Meeting at 1100 HRS. Followed by Battle of Britain and Battle for Australia Commemorative Luncheon. November – Remembrance Day: Wednesday 11th Remembrance Day 1015hrs Wreath placing during the ceremony at the Cenotaph Esplanade – Medals to be worn. AAFC 104 Squadron Pass Out Parade 2015: Australian Air Force Cadets 104 Squadron City of Cairns Pass Out Parade Date 28 November Time 1900hrs.